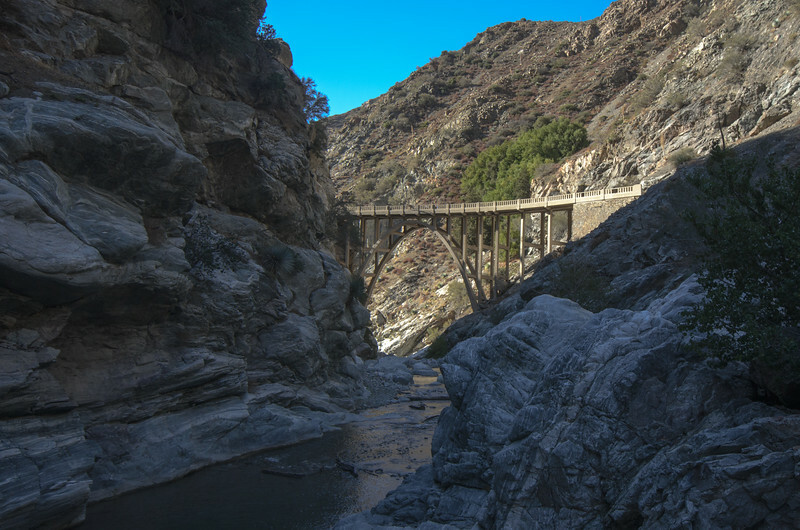 The infamous Bridge to Nowhere along the East Fork of the San Gabriel River in the Angeles National Forest. Built in 1936, the road it was intended to serve was lost to the great floods of 1938 in Southern California and never rebuilt. Tough conditions for a photo. 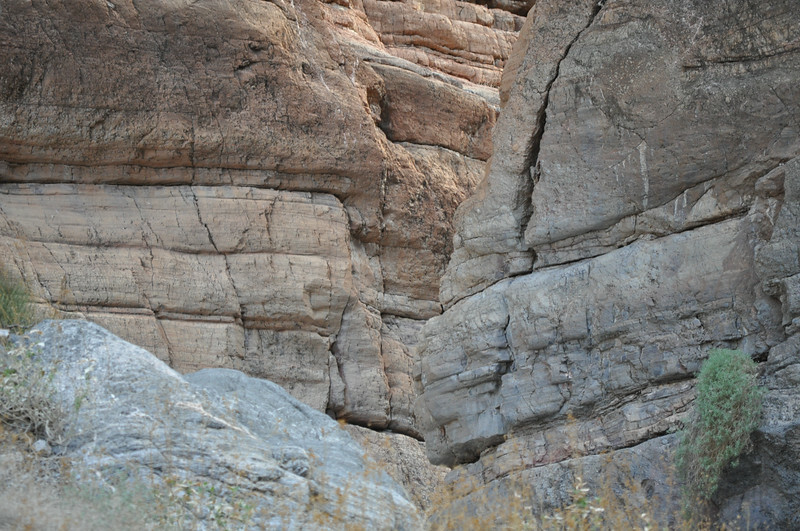 There is no great view of the southern side of the bridge and in mid-afternoon on this first day of standard time, the north side was in the shadows. I tried several different settings and this was my best shot. Not horrible, not great. A lot of people pan for gold in the East Fork. One gent showed us his day's takings -- he said about $20 worth. Very cool.